At Swift Signs, we’re proud to stock a wide range of signs for an equally wide range of purposes. Whether you need crane signs for an industrial workplace or fire warning signs for a small office, our range is sure to contain the signs you’re looking for. 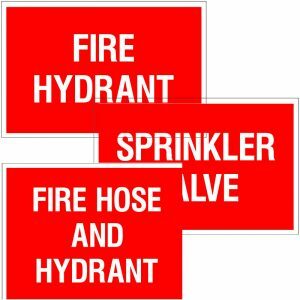 From fire extinguisher signs and fire hose reel signs through to fire hydrant signs and fire door signs, we stock various fire warning signs to improve the safety of your building. 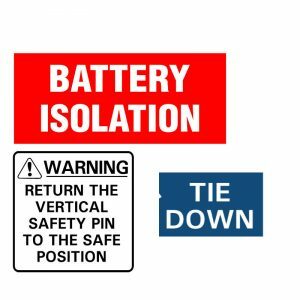 Our range of crane signs includes battery isolation signs, down arrow diagonal signs and return safety pin signs. 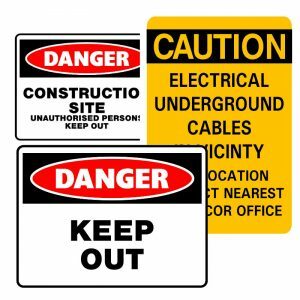 We offer dozens of danger signs to warn of a variety of different dangers, with available signs including keep out, men working below, no smoking and many more. 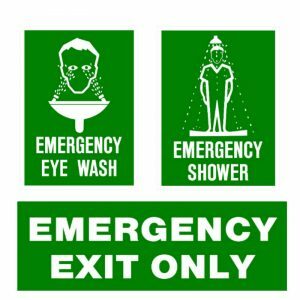 Our first aid signs include first aid box signs, first aid symbol signs, emergency eye wash signs and more. 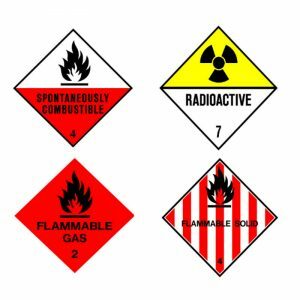 Available hazard signs in our range include radioactive, toxic, dangerous goods, corrosive and many others. 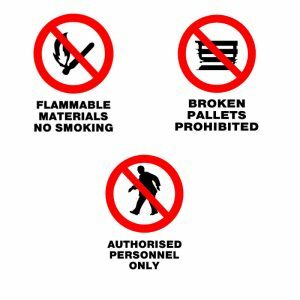 Our no smoking signs range from no smoking and no sharps through to authorised personnel only and many more. 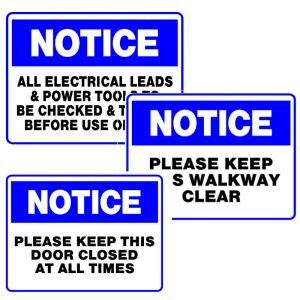 Whether you’re looking for a private property sign or a sign to inform visitors to report to the site office, we’re sure to have the notice signs you need. 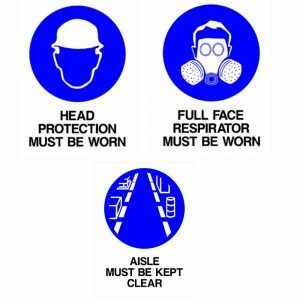 Our personal protective equipment signs include hard hat area signs, protective clothing signs, dust mask signs, hand protection signs and more. 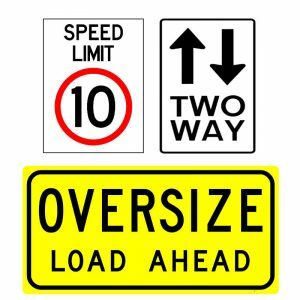 We stock a wide range of street signs, including speed limit signs, give way signs, one way signs, stop signs, pedestrian signs and more.